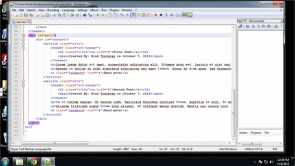 Responsive Web Development | Try Online Course for Free! With video courses for work, study and leisure. Learn on PC, tablet or smartphone. replay as often as you want. instructional videos, exercises and quizzes get you closer to your goal. Responsive web design enables an optimal viewing experience for websites on any device - smartphones as well as tablets and laptops. A responsive built website will adapt to the measurements of the used device and display the appropriate interface, thereby enabling easy reading as well as navigation with less scrolling, resizing and panning. In this comprehensive online video training, you will learn all the necessary tools to master Responsive Web Development. It provides nuts-and-bolts learning videos and practical exercises that enable easy learning by doing. Building Responsive Websites – This part focuses on the main components and tools of web design, HTML5 and CSS3 structure as well as media queries. Responsive Websites with Twitter Bootstrap - Learn about the Bootstrap site, documentation, the base mark up, the Navbar & Dropdowns and the Grid systems. Both courses contain exercises and templates, letting you apply anything you’ve learned throughout the course. Start now and become a master in Responsive Web Development! Top Trainers, Top Content, best e-learning experience ever. We are conviced of that - 100%. That´s why we offer a 100% Money-Back Guarantee. You are not satisfied at all? Please drop us some lines. Up to 5 days within your purchase we refund the complete price you paid - no ifs and buts.